DCD Customs is a Jeep shop in Los Angeles, California, located in the heart of Chatsworth, CA. 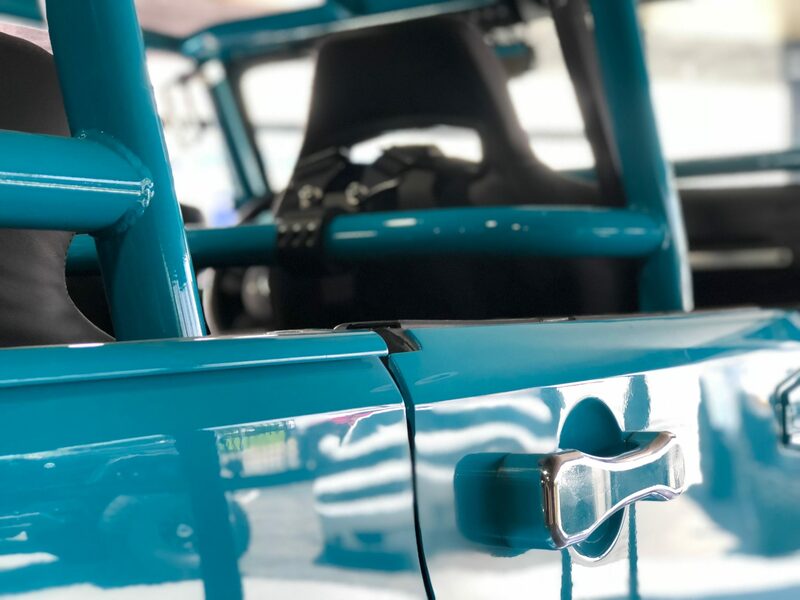 Our custom Jeep builders in Los Angeles, California, are some of the most experienced Wrangler specialists in the world. At DCD, we build and modify detailed Custom Jeeps anywhere in the world! Our custom jeep builders and technical professionals strive to push the industry limits. At DCD we eat, sleep and breath each custom Jeep Wrangler project as if it was our own Jeep. Our off road shop has the most knowledgeable custom Jeep builders in Los Angeles. 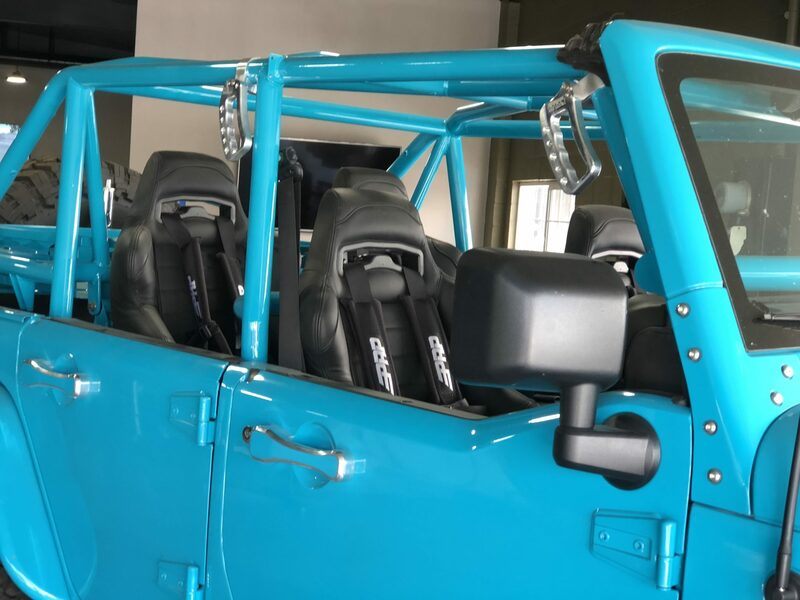 Our custom Jeep Wrangler technicians have the experience and expertise to provide your custom Jeep Wrangler build with the best possible off road performance or street performance modifications depending on your desires. We will consult you on which specific custom Jeep parts and Jeep Wrangler aftermarket modifications perform well on various off-roading trails and terrains. Our Jeep shop specializes in building the finest custom Jeep Wrangler builds in California. We are known for always providing our customers with the highest quality 4 wheel parts & accessories worldwide. As a result, we turn your Jeep Wrangler into the dream Jeep you desire. We proudly serve and custom build Jeep Wranglers for both national and international clients. 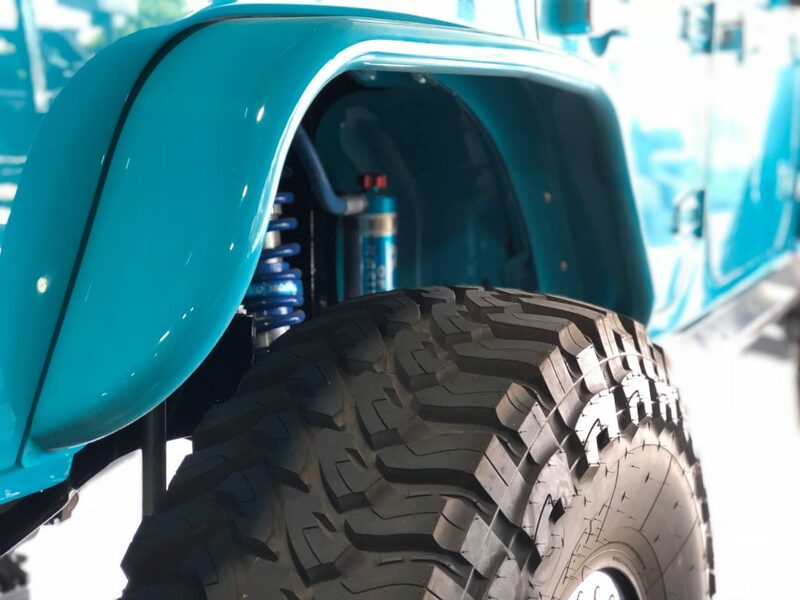 Whether your aiming for off-road performance, fuel economy, v8 motor swap, off road suspension installation, Jeep tires, Jeep repair and restoration, or an aesthetically pleasing jeep, we build it all. 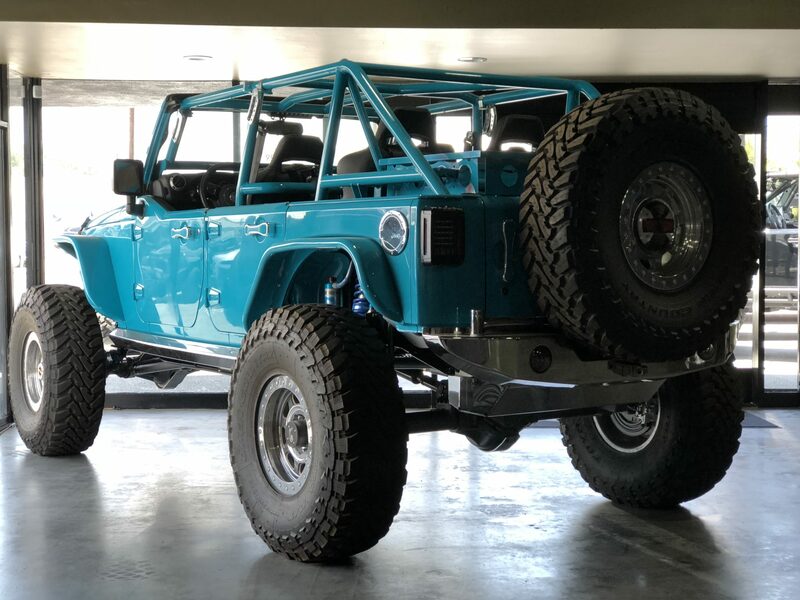 Visit DCD Customs for the high quality aftermarket Jeep parts and Jeep customization in Los Angeles, CA that you deserve. Our custom Jeep builders can provide you with any type of Jeep customization goal your build can possibly aim for. We offer the best quality services regardless of what the case may be. 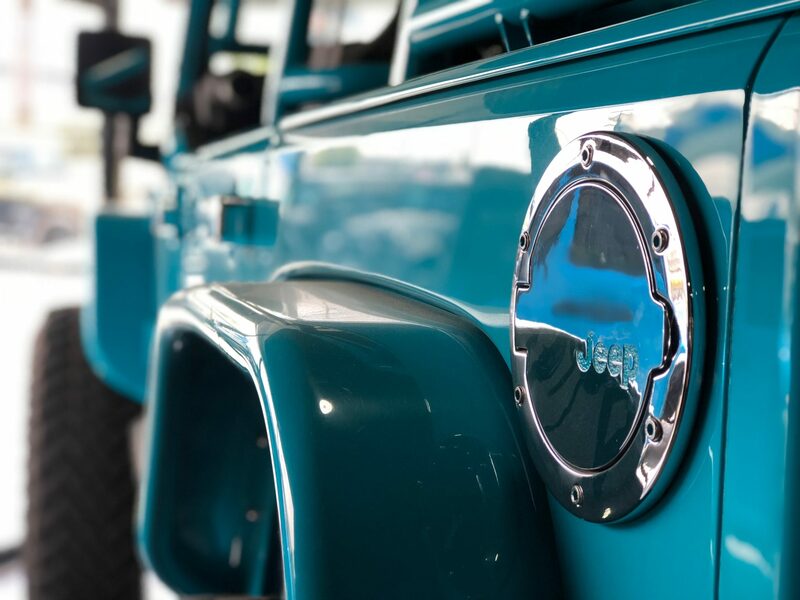 Whether your goal is to increase off-road performance, boosting engine power, improving gas mileage, or even just a custom jeep look, we will provide you with the best custom Jeep build your project prefers. 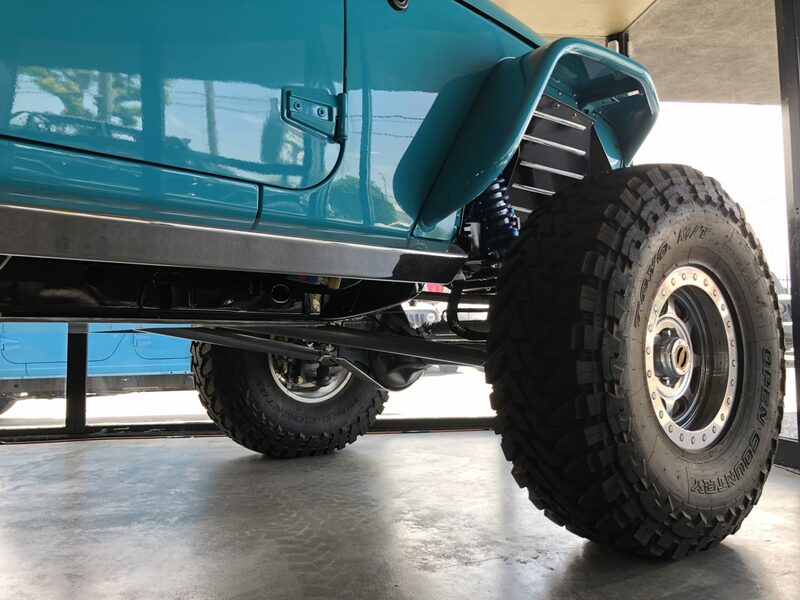 Our Jeep shop has the most knowledgeable Jeep modification experts that know which custom Jeep Wrangler parts are the best for off-road performance if that’s what your aiming for! 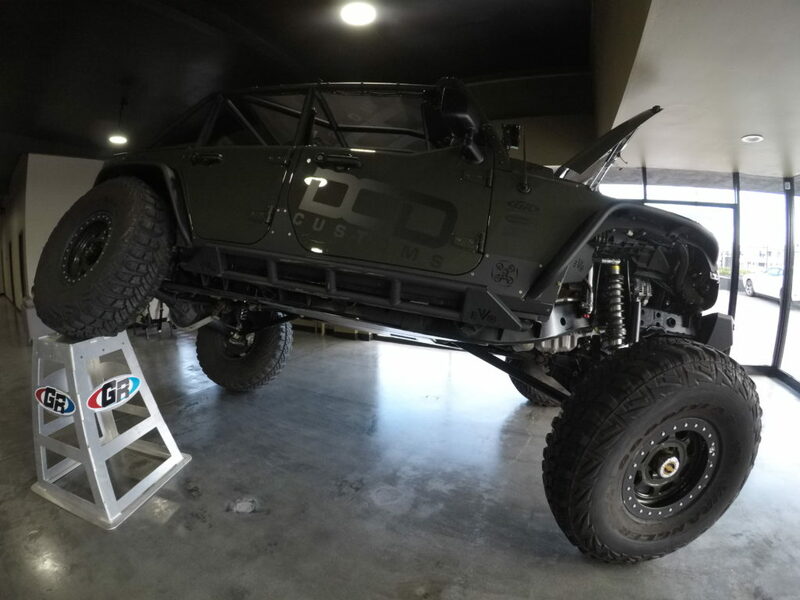 Take your custom Jeep Wrangler to the next level with a custom lift kit & suspension. We provide the best Jeep Wrangler lift kit installation & the best Jeep Wrangler suspension installation near Los Angeles, California. 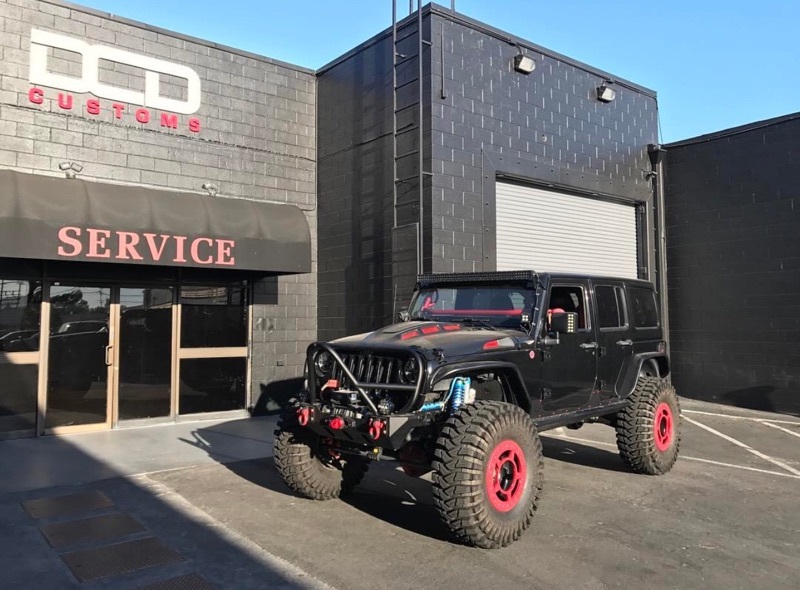 Visit our Jeep customization shop in Chatsworth, CA and let us transform your Jeep Wrangler into a modern off-road monster. We provide installation on Jeep tires & wheels near Los Angeles, California. Whether you are aiming to tear up mud covered mountains, climb giant boulders, drive through sandy off-road trails, or even if your just aiming to get better gas mileage, DCD CUSTOMS provides it all. We provide & install any of the best Jeep tires you need. We offer many of the best mud-terrain & all-terrain tires on the market. Get your dream V8 engine put into your Jeep! DCD Customs offers the best V8 motor swaps near Los Angeles, CA. 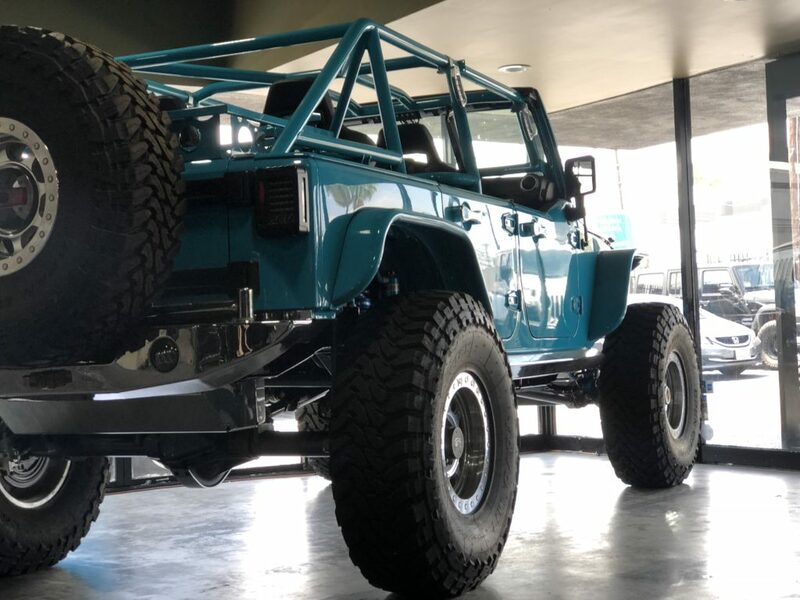 Our Jeep Customization Shop in Chatsworth, CA has the most innovated tools & equipment to provide your Jeep with the best quality V8 engine swap that it deserves. Our Jeep Wrangler auto body shop offers services and installation for Performance Parts, Custom Paint and Powder Coating, Jeep Wrangler Lift Kits, LED Light Bars, Interior, Fenders, Spray In Bed Liners, Steps, Tops, Wheels & Tires, Exhaust Performance & Intake, Bumpers, Grille Guards, Hoods, and more. Visit our gallery for more pictures of our builds & customization! Nearby cities include Santa Clarita, Northridge, Porter Ranch, Reseda, Canoga Park, Callabassas, Malibu, Thousand Oaks, Santa Monica & more! Did you get into a car accident with you Jeep? Contact us now for restoration by the most knowledgeable Jeep experts and 4 wheel parts in Los Angles, CA! Did you get into a car accident with your Jeep? Our Jeep shop offers the highest quality restoration services. If you are in need, we can even help you get an auto accident attorney to help you until your Jeep is restored. We know which Jeep Wrangler aftermarket parts are most suitable for off-roading, snow, street, mud, road, and gravel. The aftermarket Jeep parts we use are of the best quality, safest and reliable. 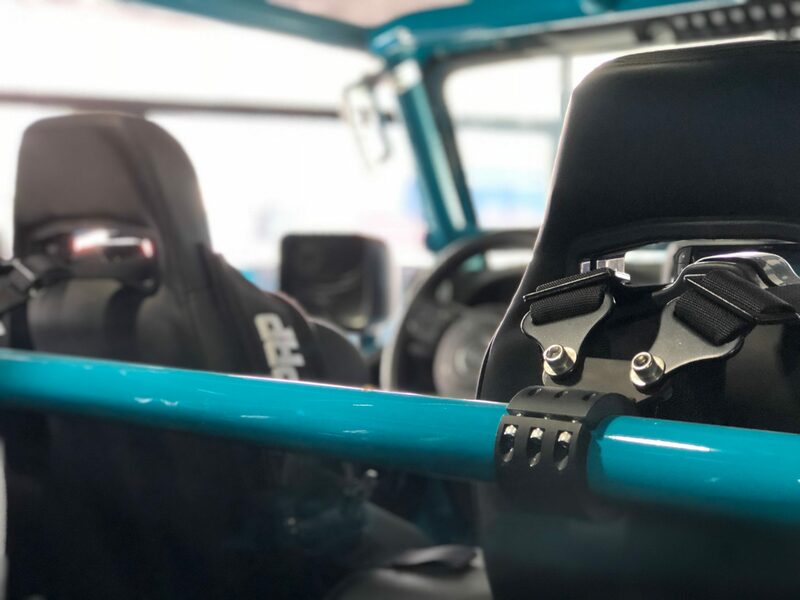 Whether you are looking for off-road performance or just looking to install specific custom Jeep parts and accessories, we have everything it takes to customize the best off-road Jeep Wrangler builds.